7 years is a pretty long time to wait for a sequel, but To Aru Majutsu no Index fans need not wait a moment longer… Well, Kind Of. Yes To Aru Majutsu no Index Season 3 is here, but If there’s any discussion to be had about said third season, then it has to start with the rather odd streaming/availability situation that English speaking fans find themselves in with regards to it. 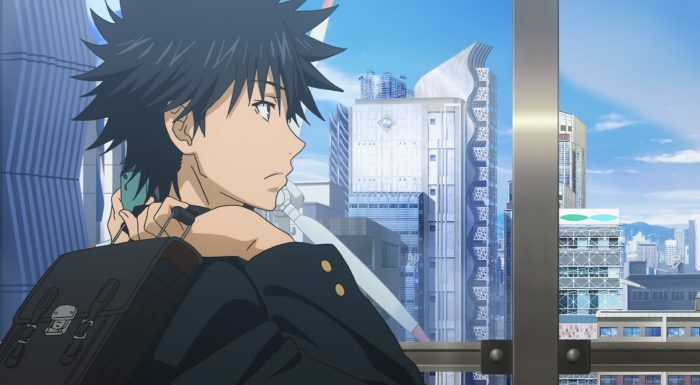 In perhaps one of the most baffling situations to come out of the Anime Industry in some time, To Aru Majutsu no Index III, as of writing, has not been confirmed to be licensed by any of the major Anime Streaming players (Crunchyroll, Funimation, Amazon or Netflix) for English speaking audiences. As a result, many fans eagerly awaiting the debut of this third series, after that big 7 year wait, were met with severe disappointment on Friday this weekend, when the show was originally supposed to air. Instead of any kind information or announcement regarding Index III, most of us fans are pretty much still in the dark with regards to the eventual or even possible release of this series state side. In an age where streaming platforms have all but taken over, and removed fansubbing almost entirely, its kind of weird to be watching this series via those very fansubs that are now near extinct. My take on fansubs has always been the same really. If a legal alternative exists, no matter how inconvenient, then its best to wait and consume the anime from that source, if only to support the industry through the proper channels. Of course, its another situation entirely when no legal means is available, in which case I think fansubbers deserve the extra credit and appreciation for stepping in and helping us anime fans enjoy the anime as close to the original air date, as possible. So while I’ve definitely got more to say on the Index III licensing debacle (and just the state of the anime industry for western fans in general), I’m going to hold off for now, as I have something much more dedicated planned for that topic. 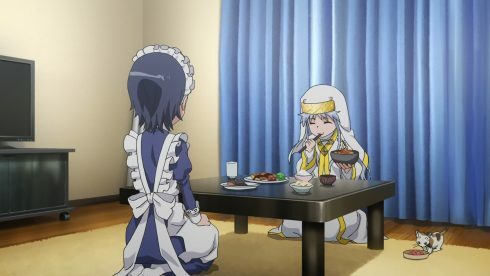 I’ll simply end this particular discussion by saying that its unfortunate that, in this day and age, Index fans had to deal with the lack of transparency and communication regarding the show, from all the various western anime parties involved. As for the episode itself? 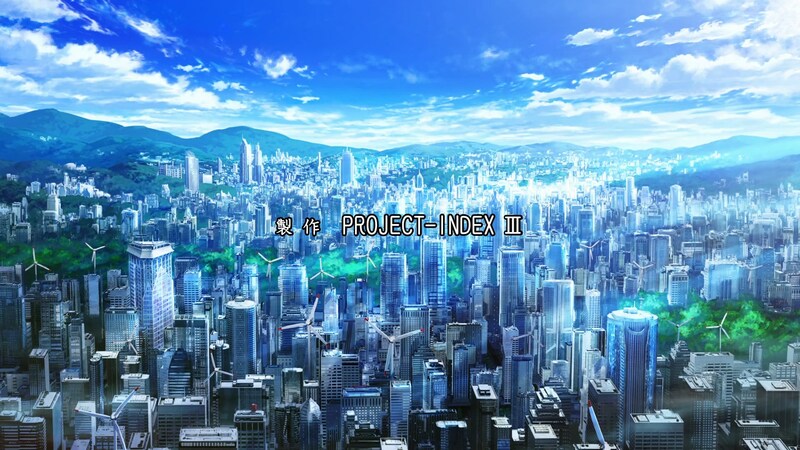 Well, Its more Index, which I think is about what you’d want from the third series of this franchise. The vibe I got from this opening episode, was definitely similar to Season 2, much more so than season 1. Index II was a special series, because it was one of the first shows I ever blogged. And honestly, my thoughts around season 2 weren’t as positive as season 1. Sure, Season 2 was pretty grand, and had its moments, but there were definite slow or less impressive aspects to the show as well. Ultimately, however, when the show got going and fired on all cylinders, things got pretty darn exciting, just as the show kind of ended. And then, well, we’ve had this 7 year drought of To Aru related stuff. Its kind of crazy now, that in 2018, we are not only getting a third Index series, but we’re also getting announcements for a third Railgun series and a first ever Accelerator series. In which case, I think the way this week’s episode opened up, was pretty solid. We got a nice little look a good chunk of the Academy city residents that we care about. Touma was obviously front and center, being the main protagonist and all, but there some nice moments for some of the more side characters as well. 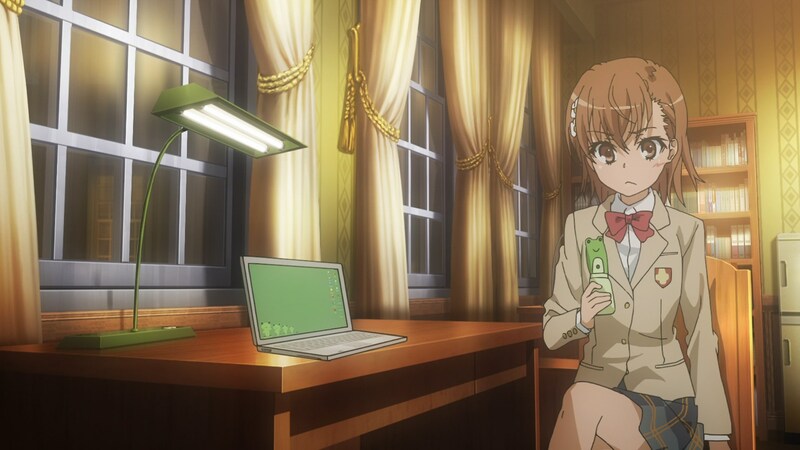 Particularly, I enjoyed the moments with Misaka Mikoto and her interactions with Touma. Misaka’s an interesting character, if only because she seems to almost eclipse Touma and her parent series Index, in popularity. I’m personally not a huge fan of Railgun myself, although I did love the more detailed retelling of the whole Accelerator/Misaka Clones story in the second season. For me, Misaka kind of functions best as a counter part and partner to Touma. And yes, I’ll admit I’m a fan of the Touma x Misaka ship, more so than any other. 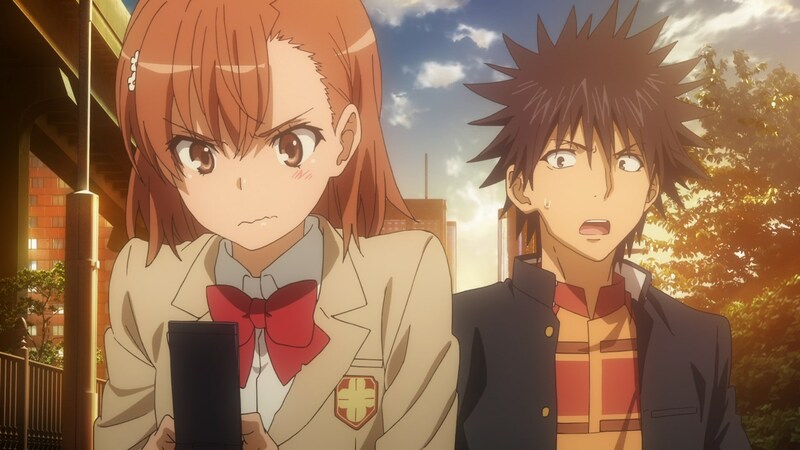 Part of me realizes that that ship will probably never sail, if only because Misaka is just too popular of a character to really become tied down to the Index franchise. None the less, I can’t help but enjoy the Touma x Misaka moments that the franchise will throw out every now and then. Last season we got the “couple” cellphone plan moment, and I was glad to see this season’s opening episode kind of build on top of that. It’ll be interesting to see how much Misaka plays into the events of this season, before we get to see her again in her own series in 2019. 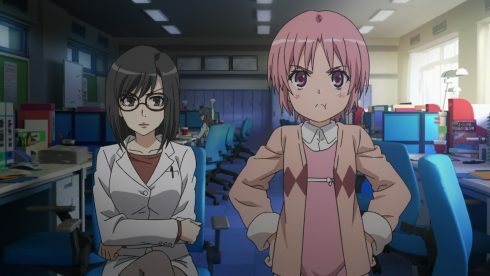 Now… While Misaka was my personal favorite bit of the episode, the show didn’t waste too much time catching us up to speed with the world of Academy City. 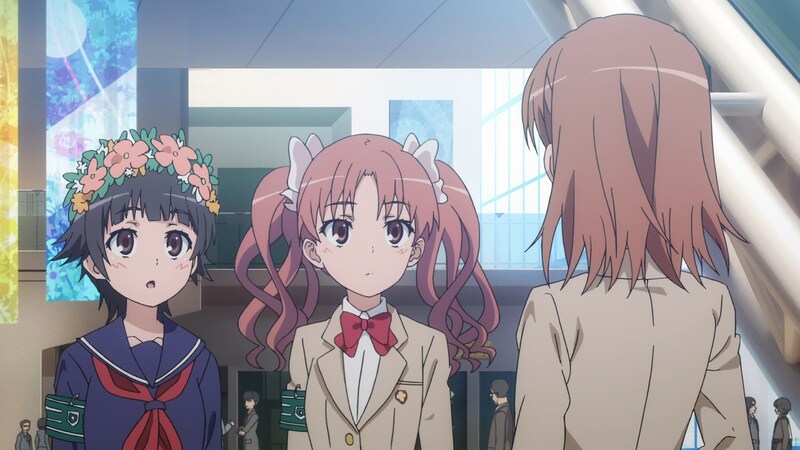 We got nice little nods to Index, Misaka and her girl buds, and of course Touma’s school friends. But things took a pretty dark turn, as first Index and then Touma ran into a nice old lady. 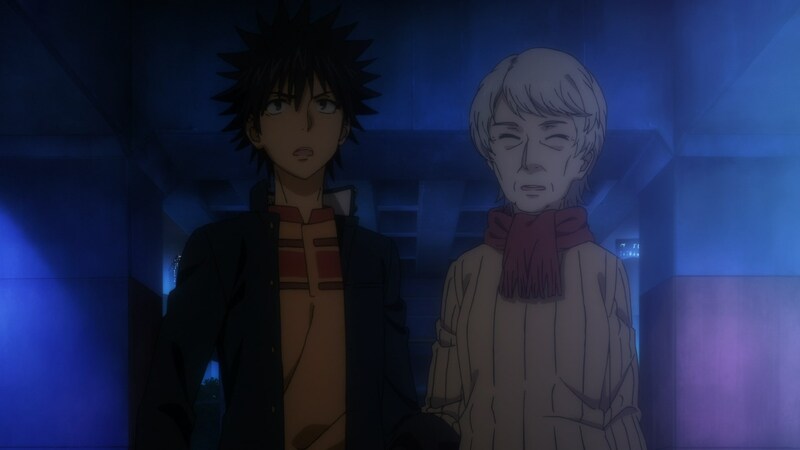 Said nice old lady is actually not only a member of the Academy City Council, but is also the mother of one of Touma’s school teachers. 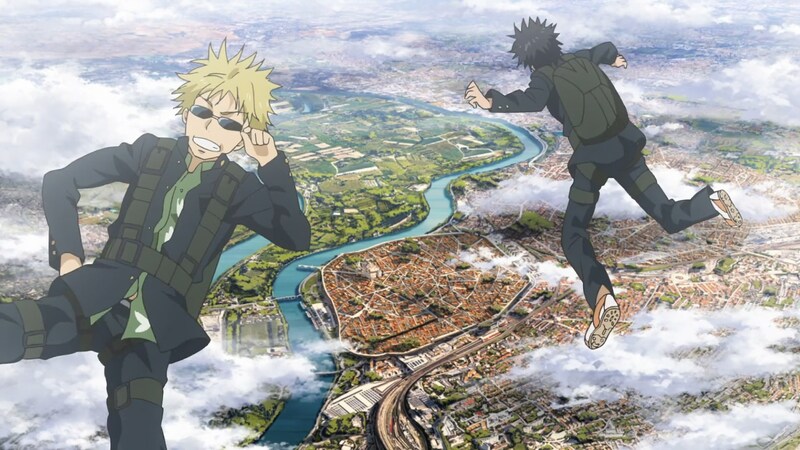 Surprisingly, despite every major character’s suspicion that the rising tensions throughout the world were a result of what Touma and co dealt with at the end of the last series, it turns out that things are very much not the case. Instead, there’s some different supernatural power, and the old lady in question, requests that Touma help and resolve this latest issue with his Imagine Breaker. She introduces herself at gunpoint and mentions all this information, only to be killed by Tsuchimikado a few moments later. Turns out said lady was acting on her own, against the wishes of the rest of the Academy City council and perhaps even head honcho Aleister Crowley. Thus old lady dies rather quickly, and Touma and Tsuchimikado end up heading out to France to deal with this latest issue. Which, I’m not really sure how I feel about this whole turn of events. Personally, I was hoping to stay in Academy City, at least for the first arc of this show. 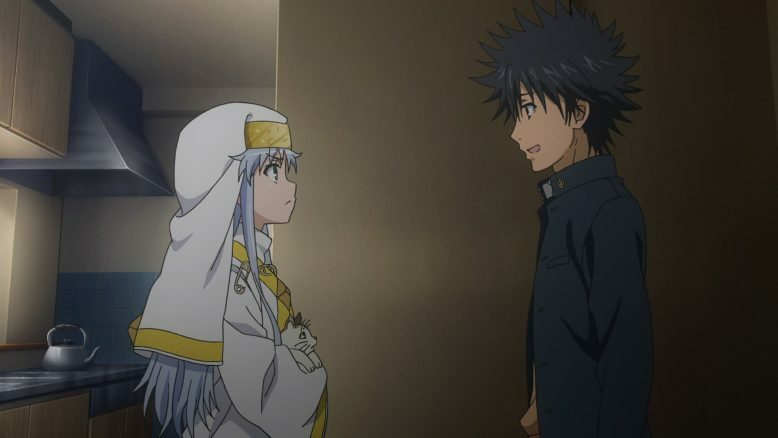 The show goes where the story is I suppose, and instead of that I guess we’re just moving straight into a foreign land and diving head first into the magical side of the To Aru Majutsu no Index world. I will say that despite her rather short time on screen, I definitely felt something for the old lady and her death, especially given that we had seen how much her daughter loved her. Overall, I’d say this was a solid return for the show. I wasn’t blown away for sure, whether it was by the anime episode itself, or other things like the story or the opening/ending themes. I think a lot of that has to do with the part of the story that we’re jumping into. I strongly suspect that things will pick up from next week, as we dive into things proper. Hopefully we can make a thing of seeing Index III on Fridays, but if not I assume at the very least we’ll be able to see the show at the end of the weekend. Here’s to next week!